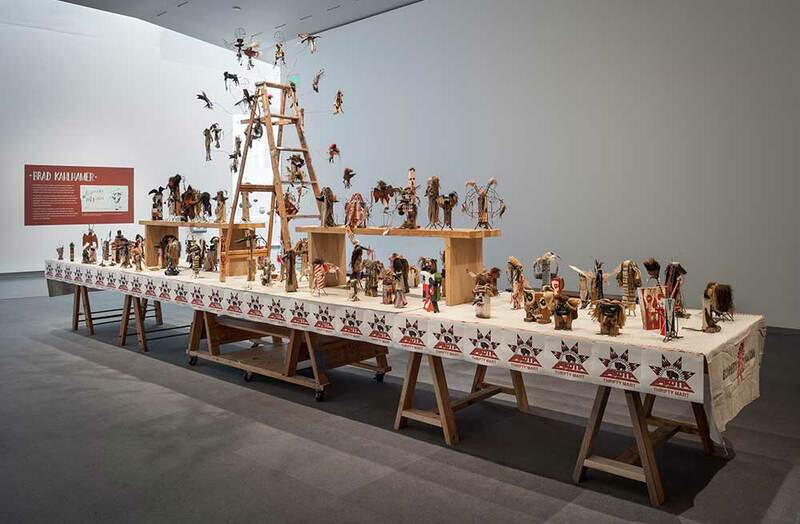 Brad Kahlhamer’s Bowery Nation installation brings together 100 katsina-like dolls and 22 birds made from a variety of materials. It speaks to the artist’s Native American roots and his time spent with the creative community on New York City’s Lower East Side. The table-like construction of Bowery Nation resembles the form of powwow parade floats that carry dancers adorned in colorful feathered and beaded regalia. The structure was made from the artist’s studio materials: an old painting table, saw horses, sheets of plywood, a step ladder and wooden benches. A consistent theme in Kahlhamer’s work is identity. He was born in Tucson of American Indian parentage, adopted into a family of German-American heritage and later raised in Wisconsin. Bowery Nation represents what he calls his “third place”, the fusion of his personal identities and mythologies. 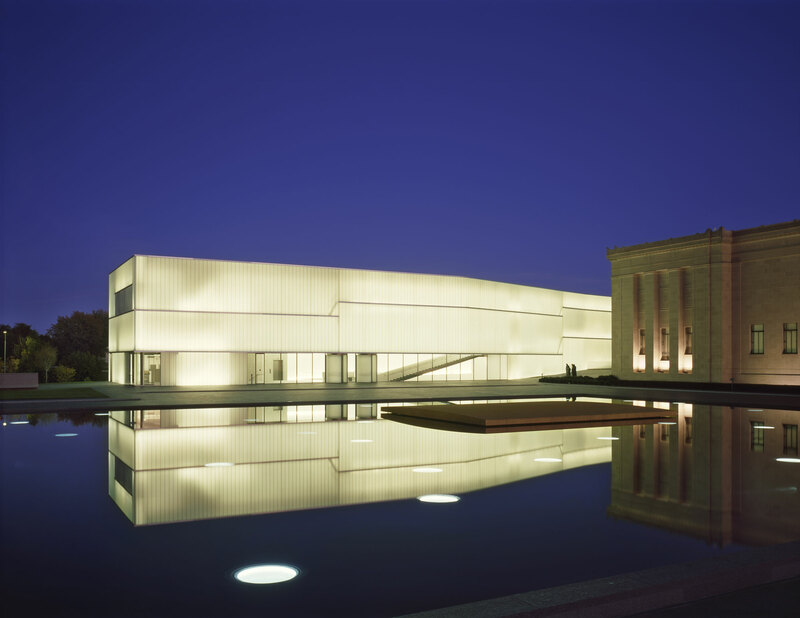 Exhibition installation view, Brad Kahlhamer, Bowery Nation, March 22-July 21, 2013, The Nelson-Atkins Museum of Art. Photo: Bob Greenspan. Courtesy of Thyssen-Bornemisza Art Contemporary Collection, Vienna. This exhibition is supported by the Campbell-Calvin Fund and Elizabeth C. Bonner Charitable Trust for exhibitions and the Rheta A. Sosland Fund.